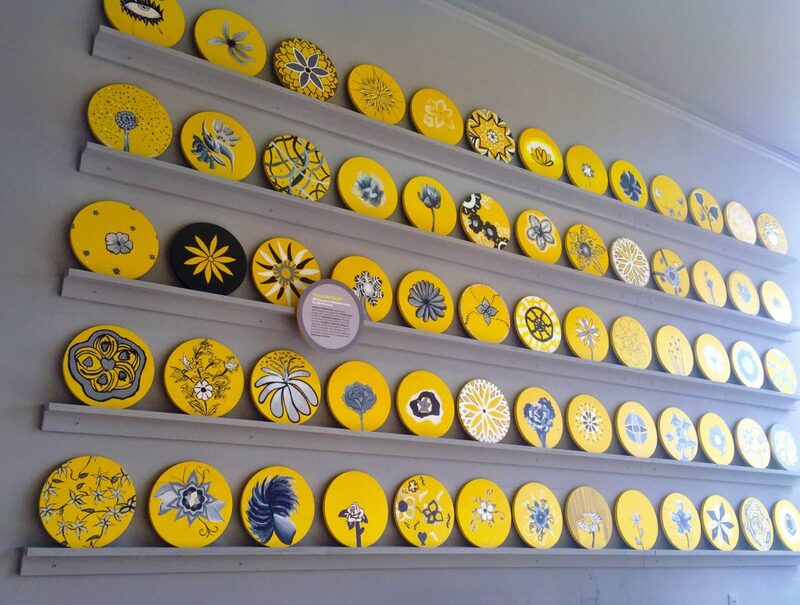 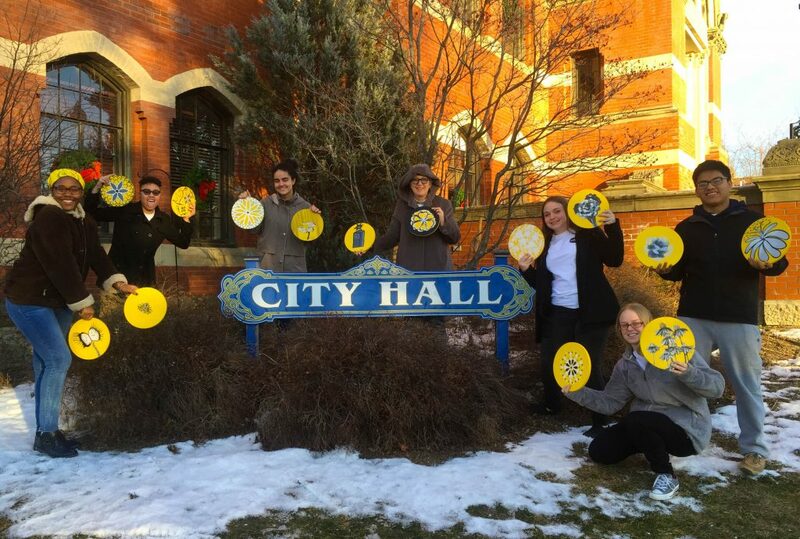 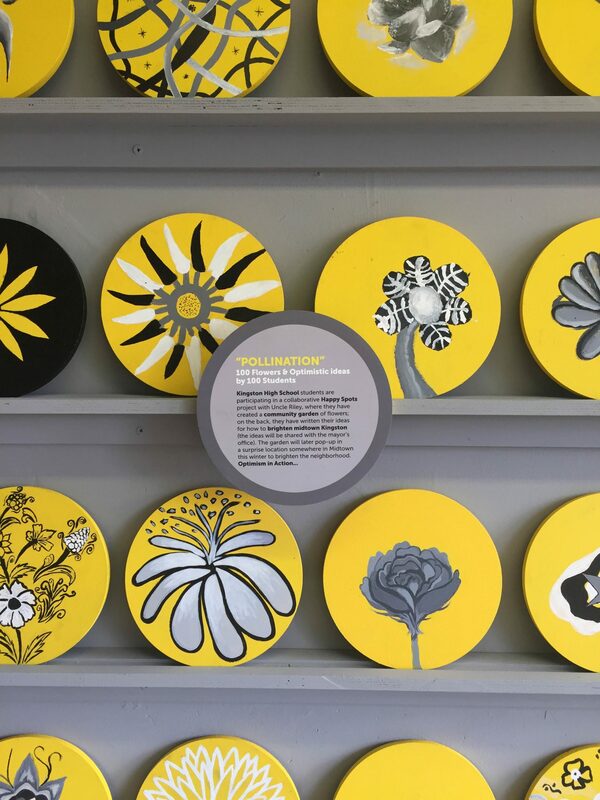 Wooden discs painted with flowers and ideas for how to brighten the community. 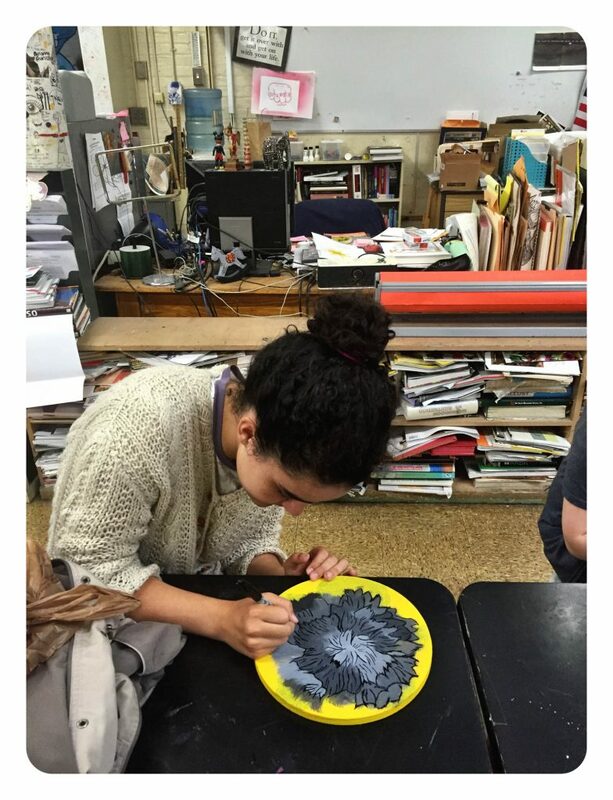 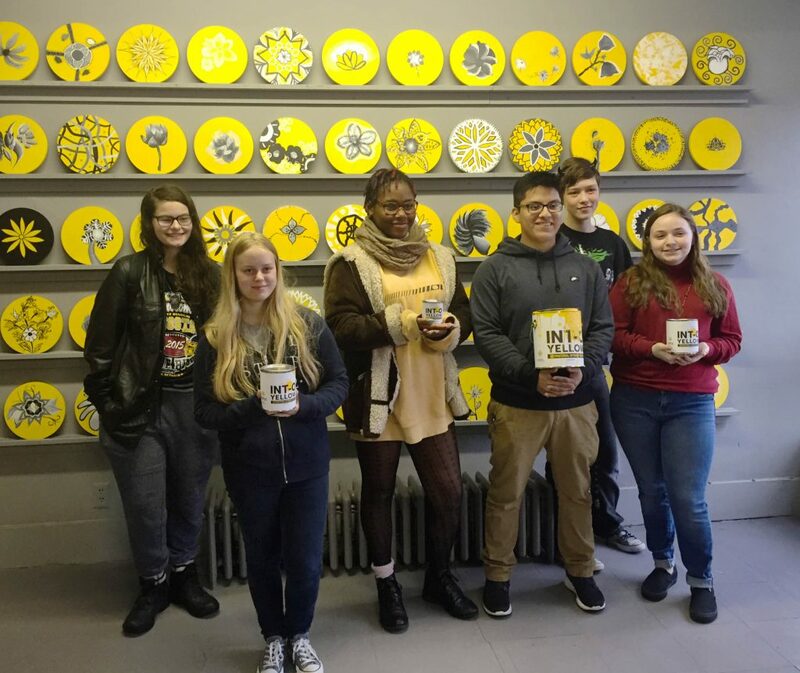 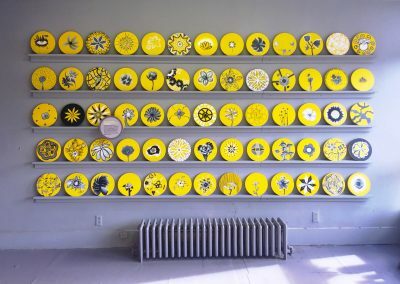 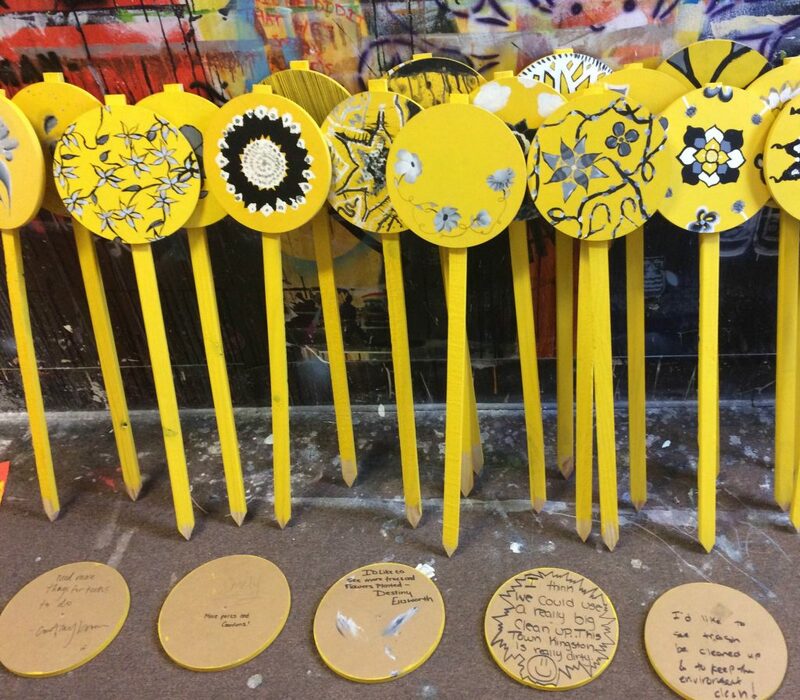 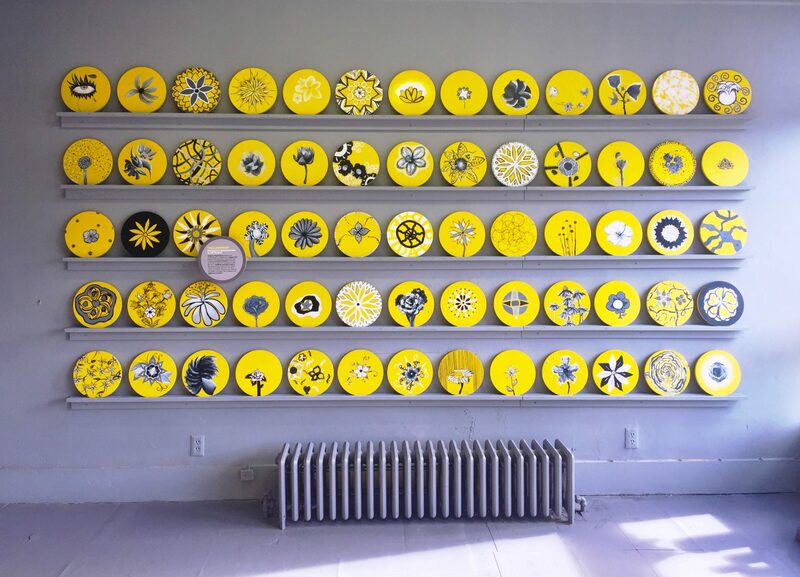 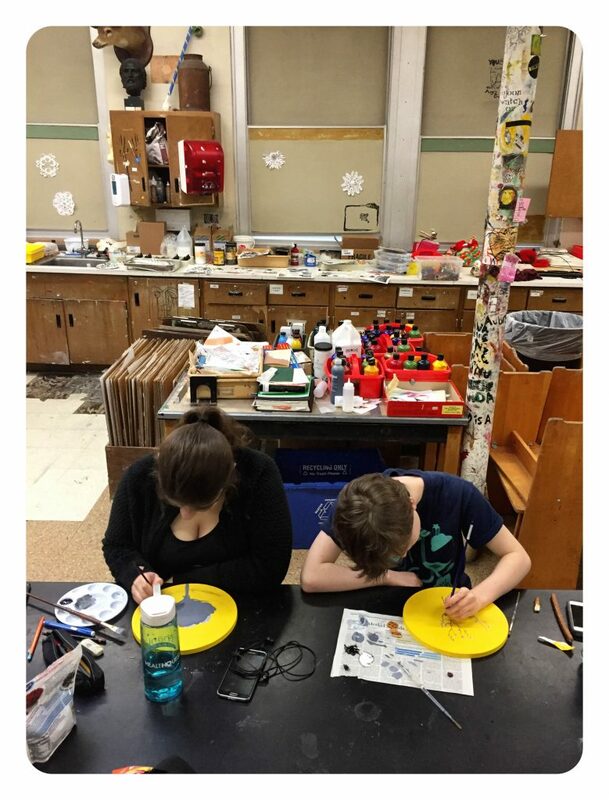 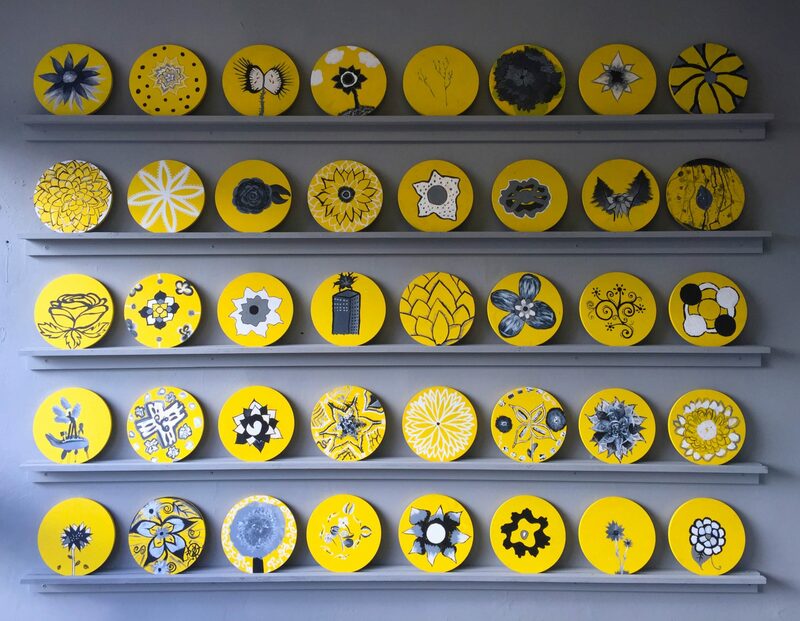 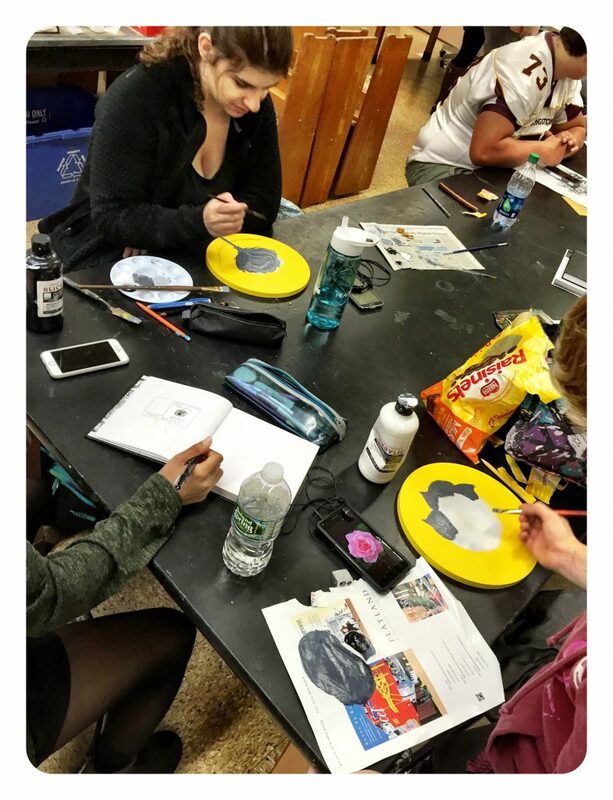 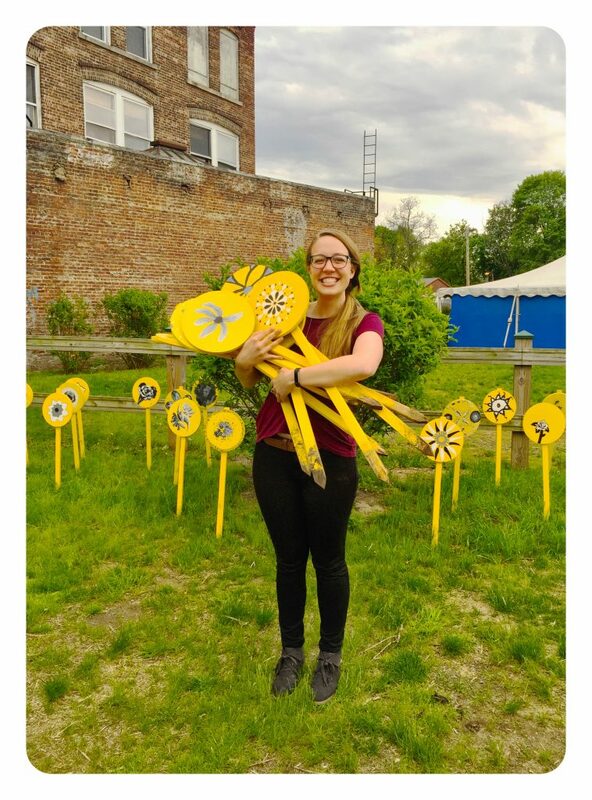 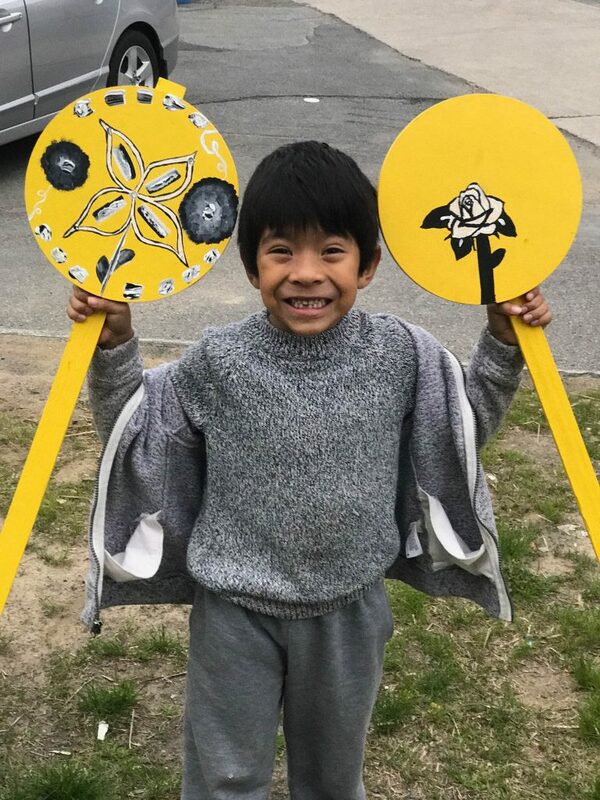 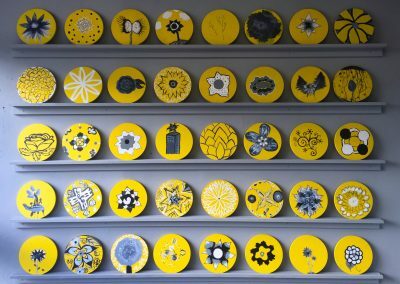 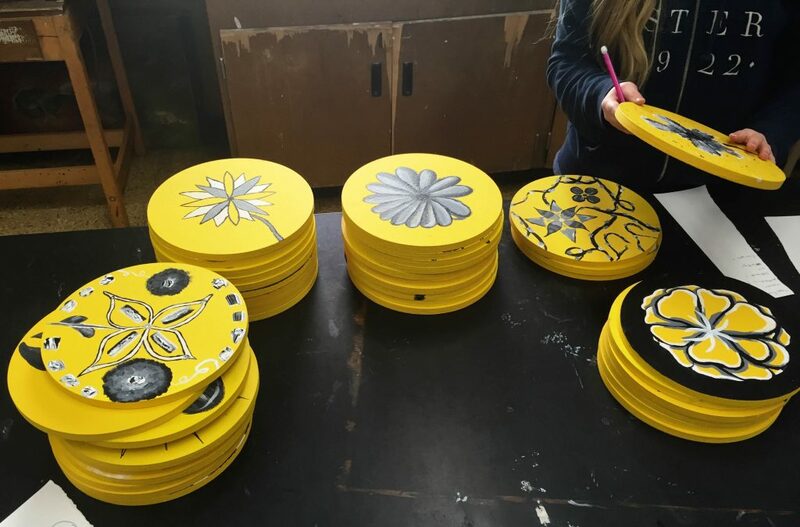 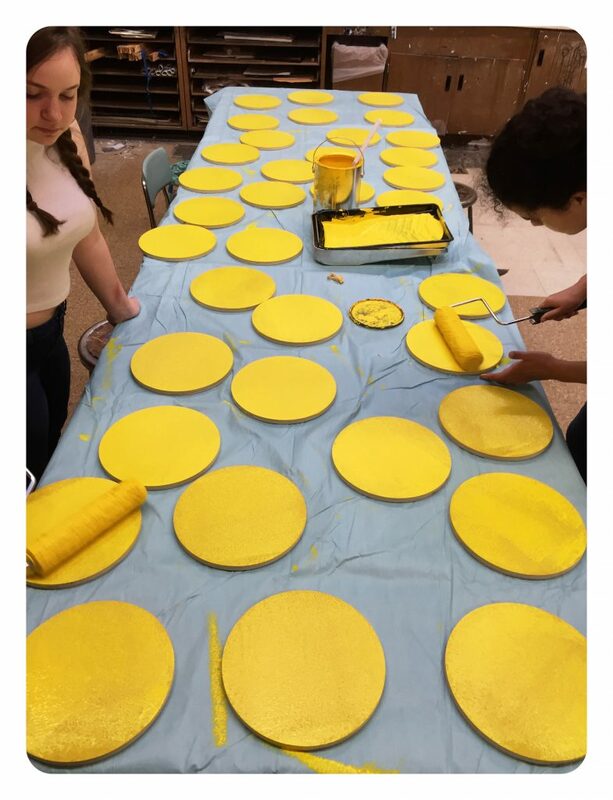 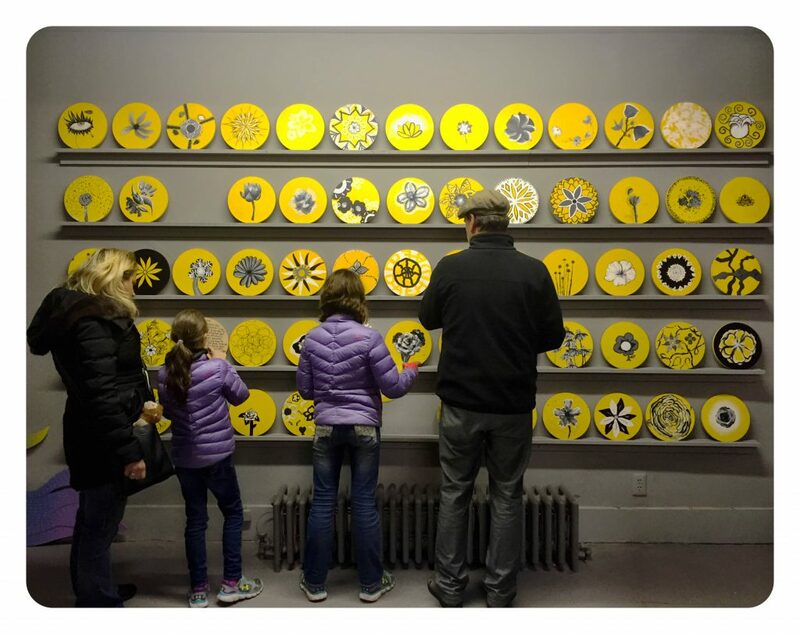 Pollination is an iterative conceptual community art project that involves participants painting flowers in black, white, and grey on wooden circles which are painted with INTO Yellow. 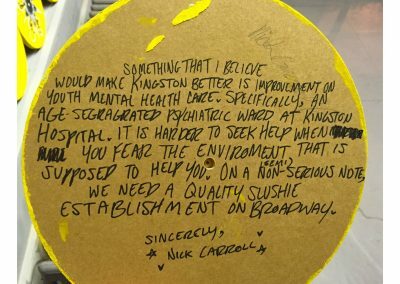 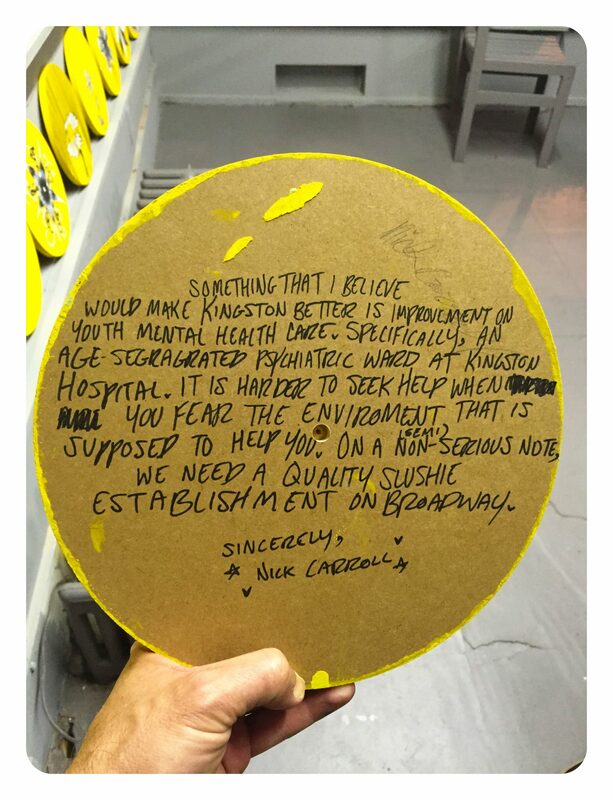 On the backside of the discs, participants write Optimistic ideas about how to brighten their community. 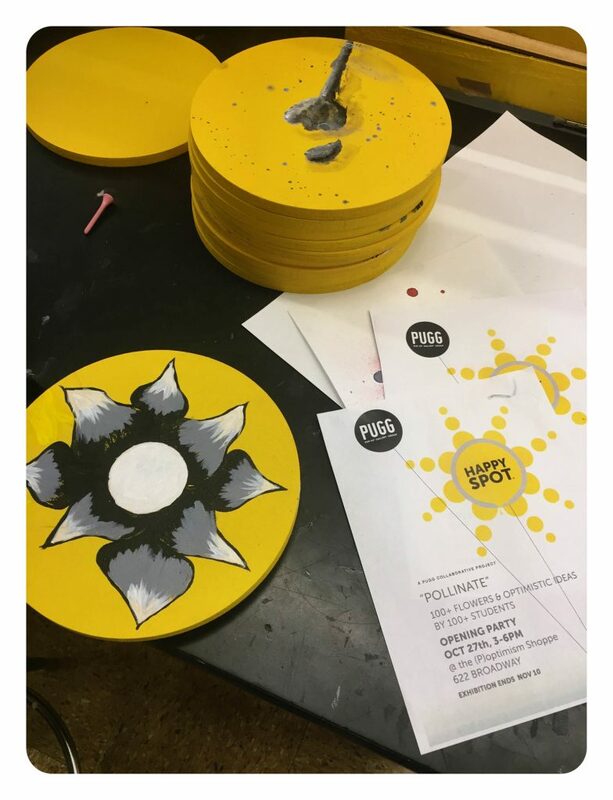 The prompts given to participants are a basic tool set of possibilities which quickly start to generate playful and surprising synchronicities as the personality and uniqueness of each community starts to emerge. 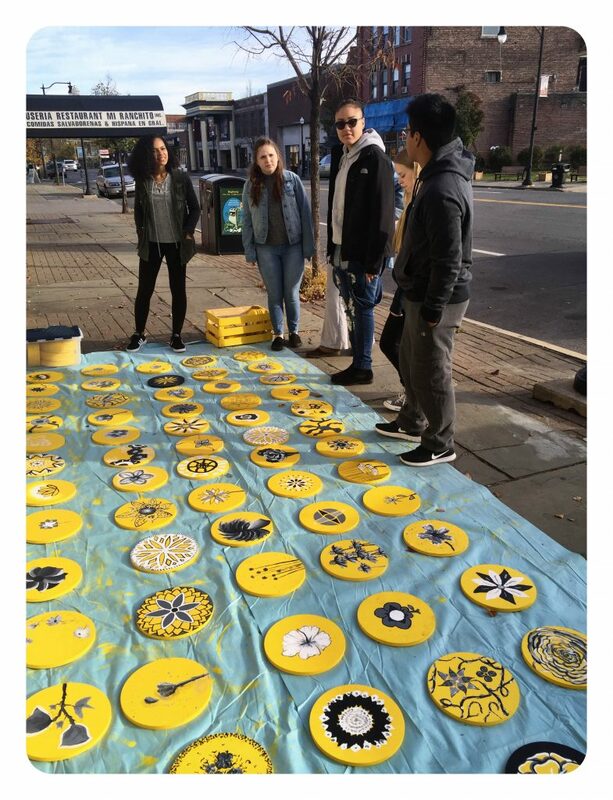 This process gives life to the intention behind Pollination, which is for community to generate their own public art. 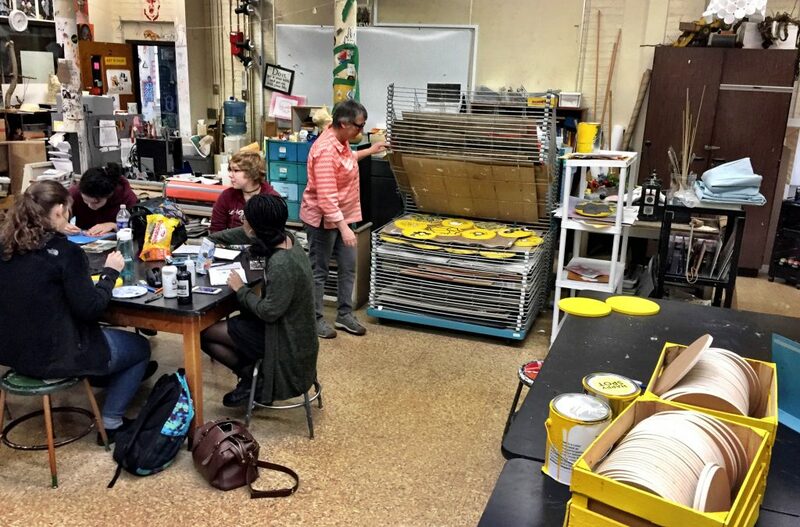 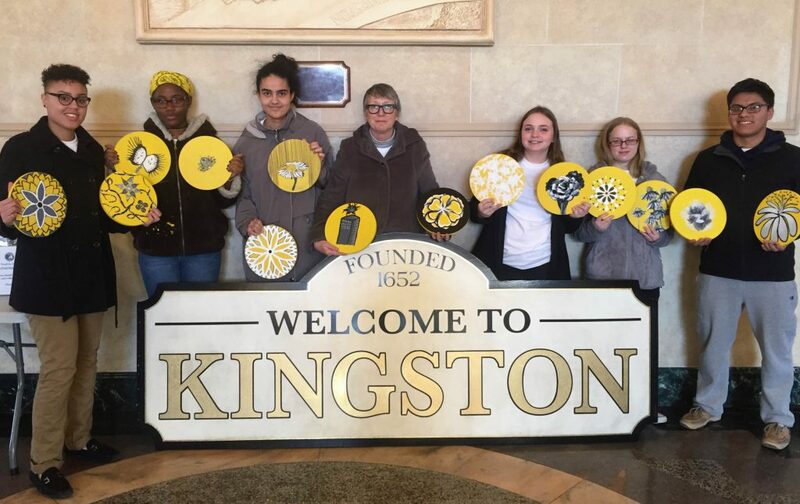 Pollination first took place in the city of Kingston in 2016 and 100 students from the Kingston High School participated. 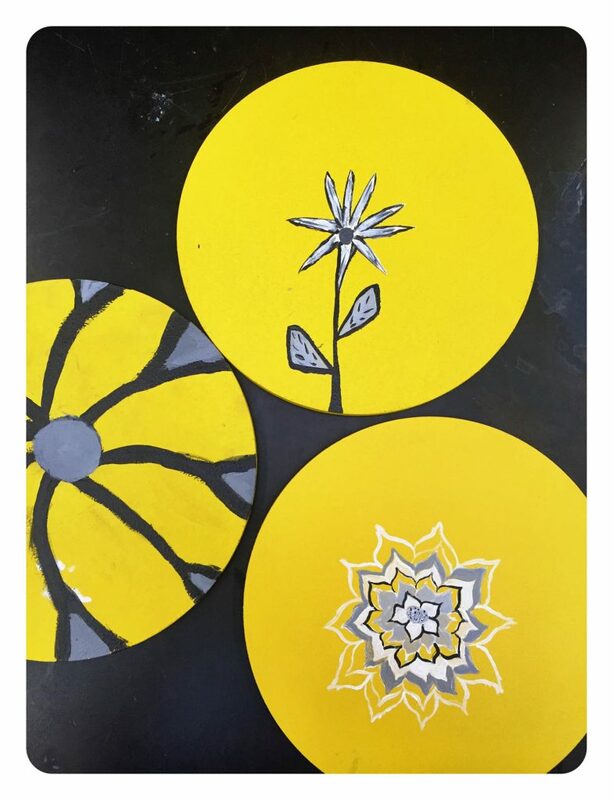 Together, they created a community garden of flowers. 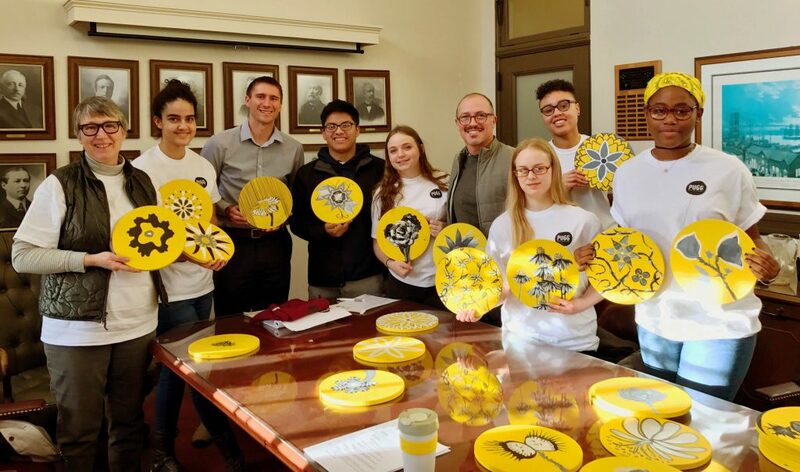 The ideas were shared with the mayor’s office, and the student’s ideas inform ways to improve the community. 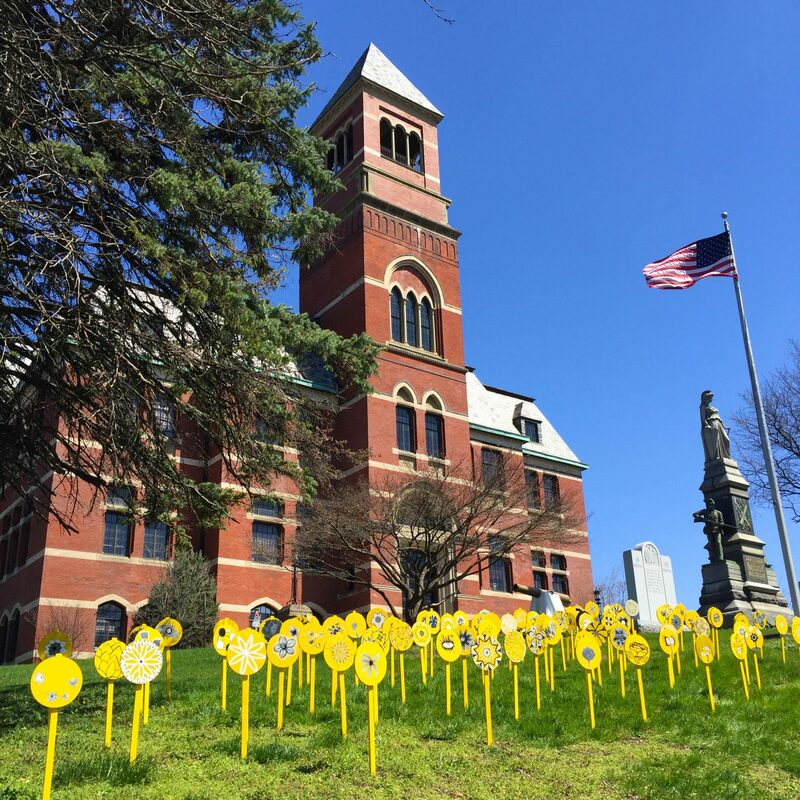 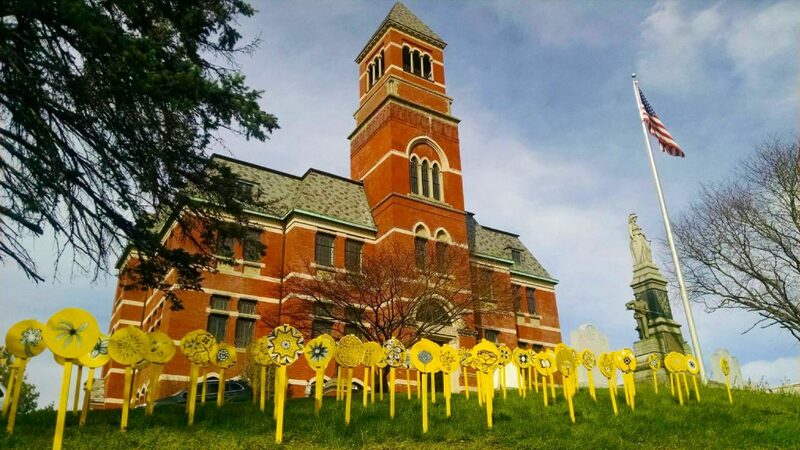 After the creation of these flowers, they were placed in different locations throughout Kingston and continue to make appearances today. 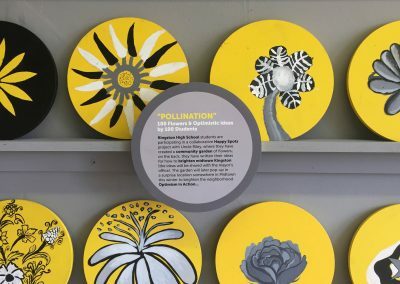 The next iteration of Pollination will take place Spring 2019 in Madison, New Jersey.